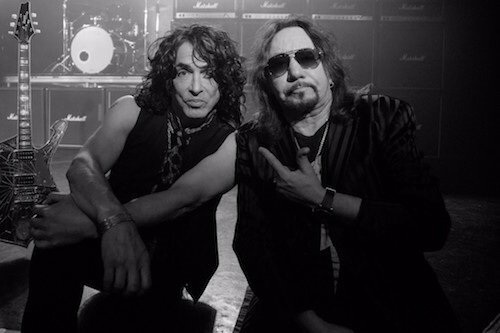 The Fire and Water video notches itself into rock and roll history as the first time both Frehley and Stanley appear in a music video since KISS’ music video for Psycho Circus released in 1998. It’s also the first time in 14 years that the two shared a stage since KISS’ appearance at the 2002 Winter Olympic Games in Salt Lake City. Finally, it’s the first time Frehley has released a music video since 1989, which was Frehley’s cover of Do Ya released by both The Move and ELO. Last month, Ace cracked the U.S. top 10 with his latest effort Origins: Vol. 1 charting at #1 on the Billboard Hard Music Chart, #3 on the Billboard Rock chart and #6 on the Billboard Current Chart selling more than 16k units in its first week of release according to Nielsen Soundscan. Internationally, the LP most notably came in at #2 on the Sweden Hard Rock Charts and #05 on the England Indie Album Breaker Charts. 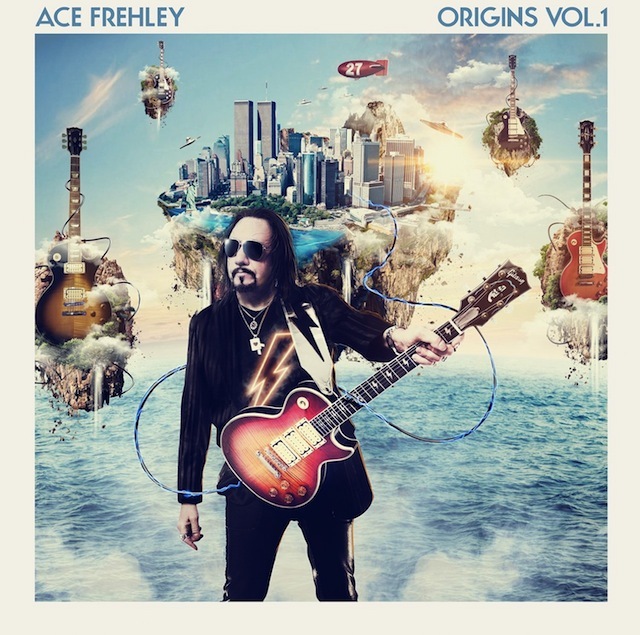 Origins: Vol.1 and its success serves as the follow up to Space Invader, which debuted at #9 on the Top 200 Chart in 2014, the same year Ace Frehley was inducted into the Rock and Roll Hall of Fame as an original member of KISS. Rolling Stone debuted White Room, a few months ago, the classic hit originally performed by Cream. Other guests are none other than Slash trading leads on Thin Lizzy’s classic Emerald, Lita Ford singing and playing lead on The Troggs staple Wild Thing, Rob Zombie guitarist John 5 playing guitar alongside Ace as he sings his classic KISS composition Parasite for the very first time, as well as Jimi Hendrix’s Spanish Castle Magic,” and Pearl Jam’s Mike McCready also plays guitar with Ace as he finally sings his KISS Alive! mainstay Cold Gin. I think its cool seeing them get along and talking good about each other. Hopefully they do some shows together that would piss Gene off,lol. I would love to see the original, and one and only, Spaceman back in his rightful place with KISS. It sickens me to see Tommy “Faker” wear the classic makeup, sporting a Les Paul, and mimic Ace’s stage show. When they asked Paul what he though of Ace’s solo, he didn’t really give it much consideration, did he? Ace just has to sit there and put his head down. This is such a great interview! It is really nice to see these guys getting along. Two legends! Paul is great again in my eyes.I still would like to hear about why ACE did the song Rock and roll hell.Thanks for posting this!! Let them have the moment together…screw the reunion crap.